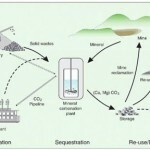 Cambridge Carbon Capture update – winner of the Shell Springboard competition! Cambridge Carbon Capture, a i-Teams project during Michaelmas 2010 has scooped £40,000 from the Shell Springboard programmefor its Idea to combat climate change. Michael Priestnall, the firm's founder and Chief Technologist of said: "CCC has spent the last year with Professor Fray and his team in … [Read more...] about Cambridge Carbon Capture update – winner of the Shell Springboard competition!